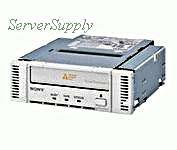 Sony - SDX-300C SONY - 35/70GB SCSI-SE/LVD AIT1 INTERNAL TAPE DRIVE (SDX-300C). IN STOCK. SAME DAY SHIPPING. 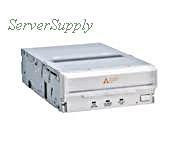 Hewlett Packard - 249448-002 HP/COMPAQ - 35/70GB AIT 1 IDE INTERNAL TAPE DRIVE (249448-002). IN STOCK. SAME DAY SHIPPING. 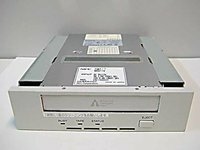 Sony - SDX-400V SONY - 35/90GB AIT-1 SCSI LVD/SE INTERNAL TAPE DRIVE (SDX-400V). IN STOCK. SHIP SAME DAY. Sony - SDX-420C SONY - 35/90GB AIT-1 IDE INTERNAL TAPE DRIVE (SDX-420C). IN STOCK. SHIP SAME DAY. 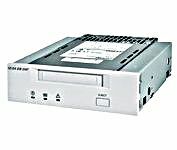 Sony - SDX-D400C SONY - 35/90GB AIT-1 SCSI/LVD EXTERNAL TAPE DRIVE (SDX-D400C). IN STOCK. SHIP SAME DAY.